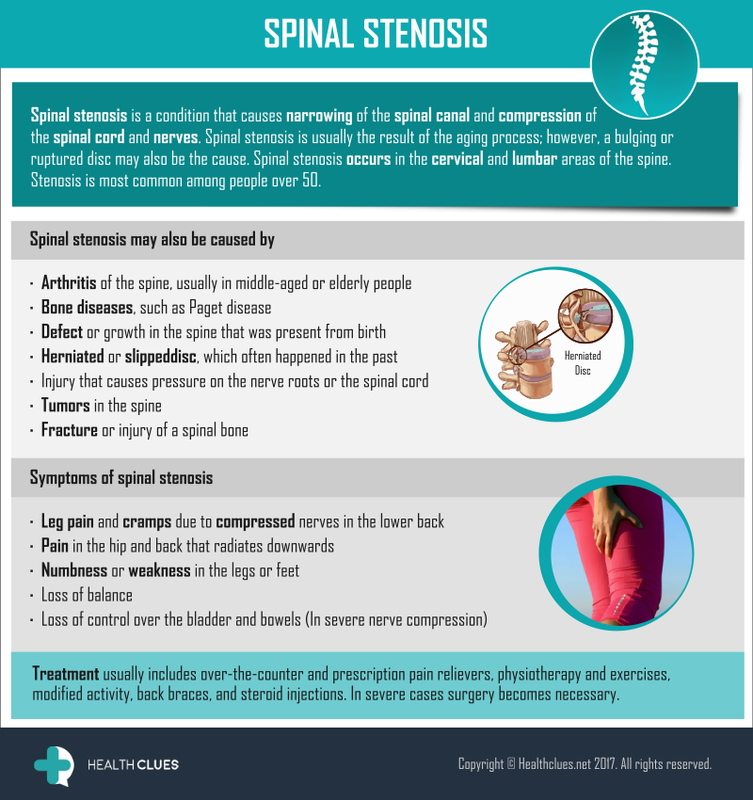 Spinal stenosis is a condition that causes narrowing of the spinal canal and compression of the spinal cord and nerves. Spinal stenosis is usually the result of the aging process; however, a bulging or ruptured disc may also be the cause. Spinal stenosis occurs in the cervical and lumbar areas of the spine. Stenosis is most common among people over 50. Treatment usually includes over-the-counter and prescription pain relievers, physiotherapy and exercises, modified activity, back braces, and steroid injections. In severe cases surgery becomes necessary. Back Pain, General, Infographics, Spine Surgery back pain, low back pain, low back pain causes, spinal cord, spinal stenosis, spine, spine arthritis, spine conditions, spine health. permalink.